I thought I would share a new book that I was given for Christmas that might be helpful to those of you who enjoy restoring and working on furniture. 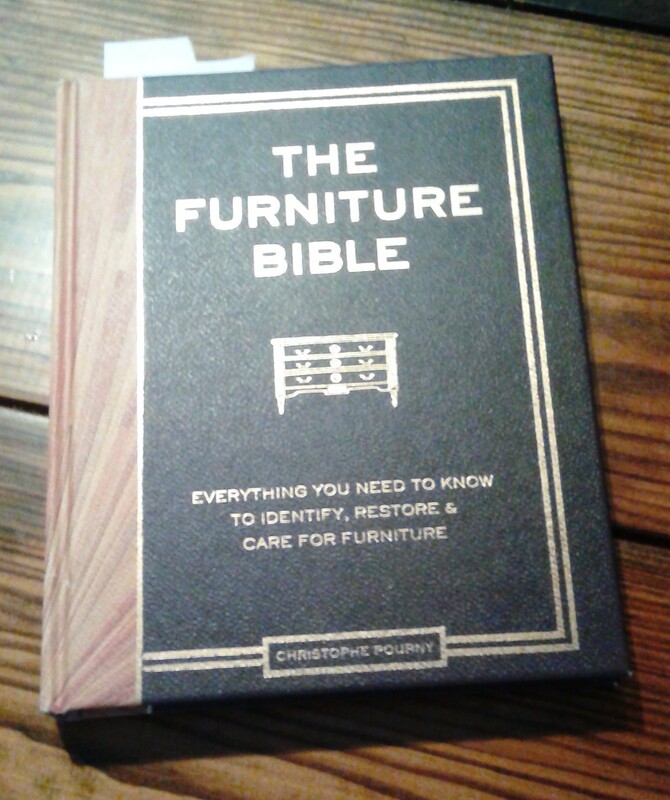 It’s called the “Furniture Bible” by Christophe Pourny. This book is very interesting and extremely insightful, as Christophe shares the art of restoring furniture. He grew up in Southern France and learned his skills from his father. He shares how to restore and update various pieces and discusses his favorite techniques for doing so. I found it helpful for gathering new ideas and to simply just be inspired! One of the most useful aspects of his book, is the portion that shares various methods for fixing some of the most common issues with used or old furniture. Recently I bought a dresser from Good Will. I brought the piece home and began taking the piece apart. As I did, I noticed that one of the drawers had a split in it and was broken. I was unsure of how to fix this properly, so thought I would see if the Furniture Bible had any suggestions. Yes — he did!! There was a very simple and easy remedy! Let me explain. Step 1: Measure the length of the crack or break. Step 2: Pick up a piece of strong fabric, such as canvas, to cover the crack, as well as some Elmer’s glue and an inexpensive brush. 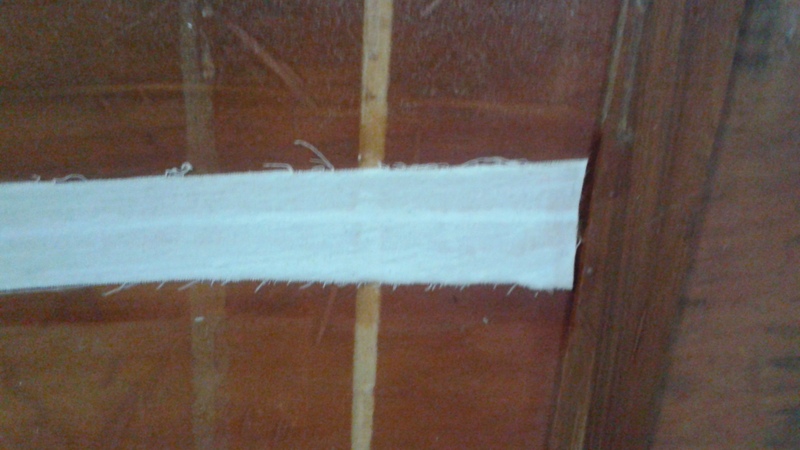 Step 3: Turn the drawer over and cut the fabric to cover the crack. Using the brush to apply the glue, cover the fabric and the drawer bottom that is surrounding the fabric with glue. Please note, that it is important to completely saturate the fabric with glue. Step 4: Let the glue dry overnight. 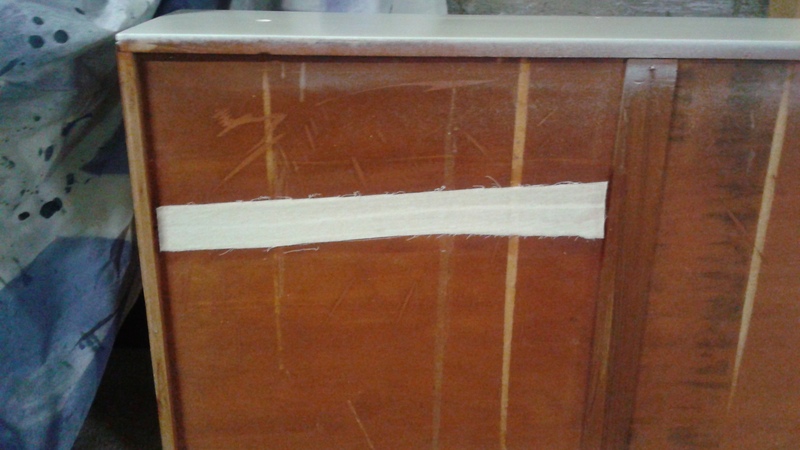 As the glue drys, it will tighten and make the drawer very secure. Once the drawer is dry and you turn it back over, you hardly notice the crack and will not have to worry that the damage will cause any issues going forward! Simple and effective – who wouldn’t love that?! I hope this is helpful – I would highly recommend this book!! Lots more helpful hints inside! This is brilliant. Glad I stopped over.